St. Martin's Press, 9780312610395, 272pp. "On the coast of Alabama, there is a house cloaked in mystery, a place that reveals the truth and changes lives..."
Ellie Calvin is caught in a dying marriage, and she knows this. With her beloved daughter away at college and a growing gap between her and her husband between her reality and the woman she wants to be she doesn't quite seem to fit into her own life. But everything changes after her controlling mother, Lillian, passes away. Ellie's world turns upside down when she sees her ex-boyfriend, Hutch, at her mother's funeral and learns that he is in charge of a documentary that involved Lillian before her death. He wants answers to questions that Ellie's not sure she can face, until, in the painful midst of going through her mother's things, she discovers a hidden diary and a window onto stories buried long ago. 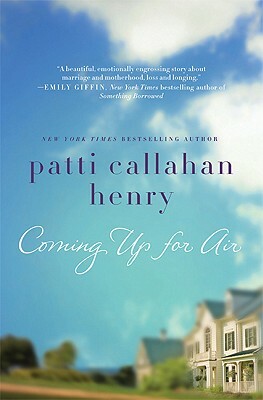 PATTI CALLAHAN HENRY is a full-time writer, wife and mother and the "New York Times "Bestselling author of seven novels with Penguin/NAL, including "The Art of Keeping Secrets, Driftwood Summer "and "The Perfect Lovesong: A Holiday Story"). She lives with her husband and three children outside Atlanta on the Chattahoochee River, where she is working on her next novel.